Usually I post about making a dress, then post about making matching accessories. 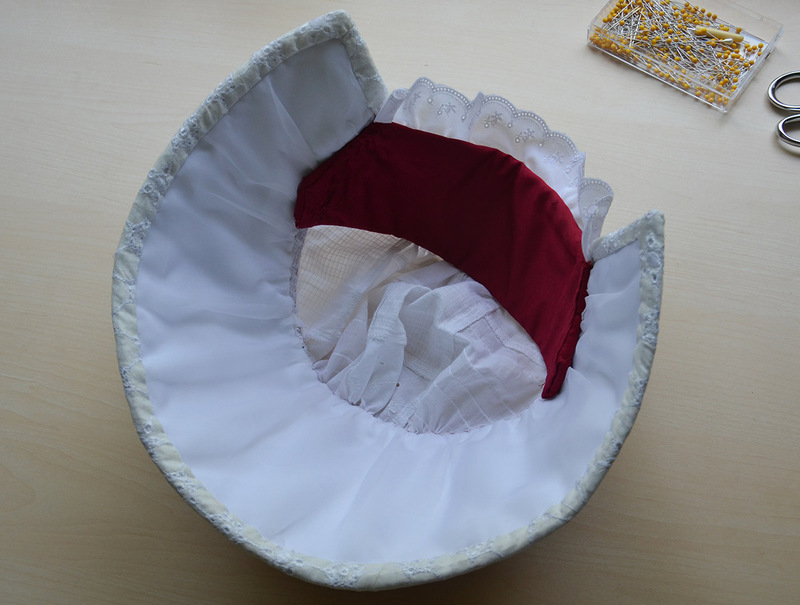 But today I felt like blogging about making this bonnet, so i’m doing things a little backwards. 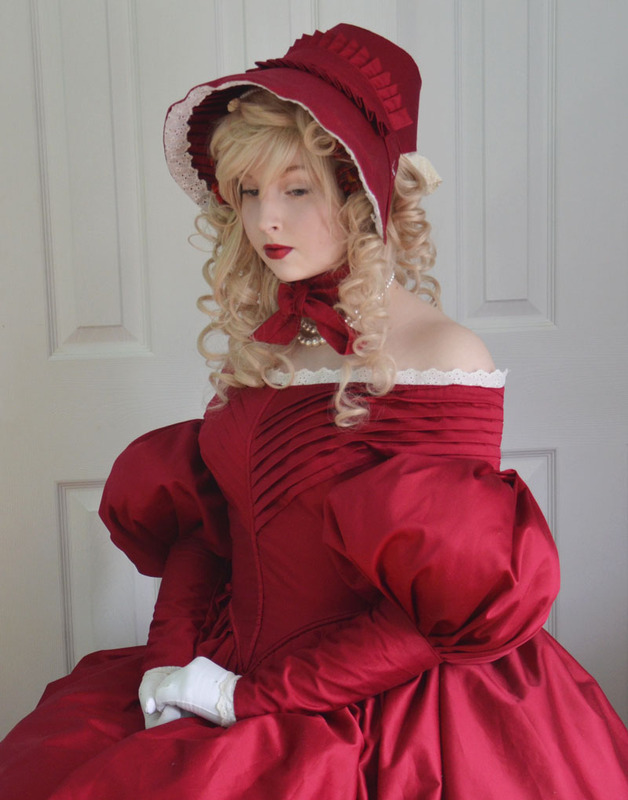 I’ve recently finished a regency themed dress made from a red and white floral fabric. I showed a little preview of it in my last progress report, and a blog post about the process will be up in the coming weeks. The dress has a bright print but is very simple in design, which makes it an excellent candidate for accessories. 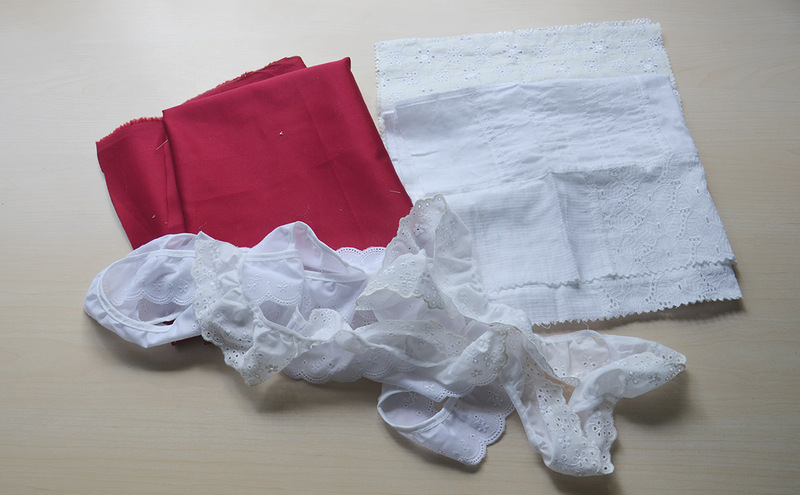 I decided to pair it with a bonnet made from cotton sateen and a pair of white shoes. 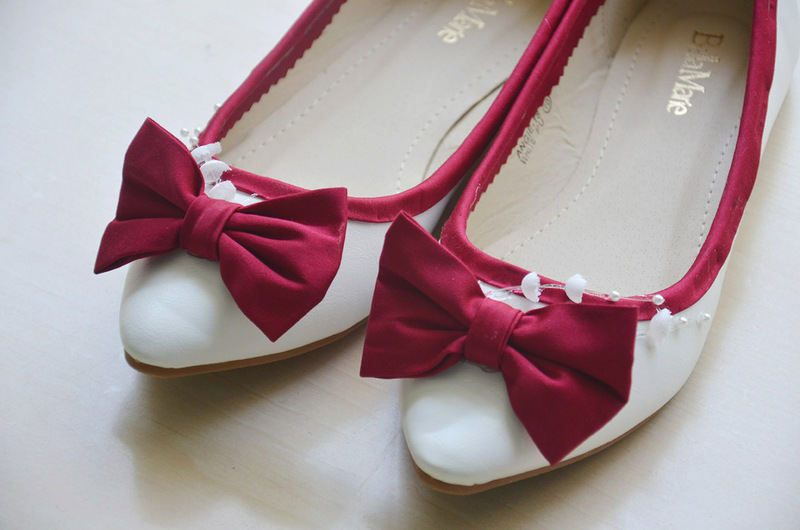 This post will be about making the bonnet and decorating the shoes. 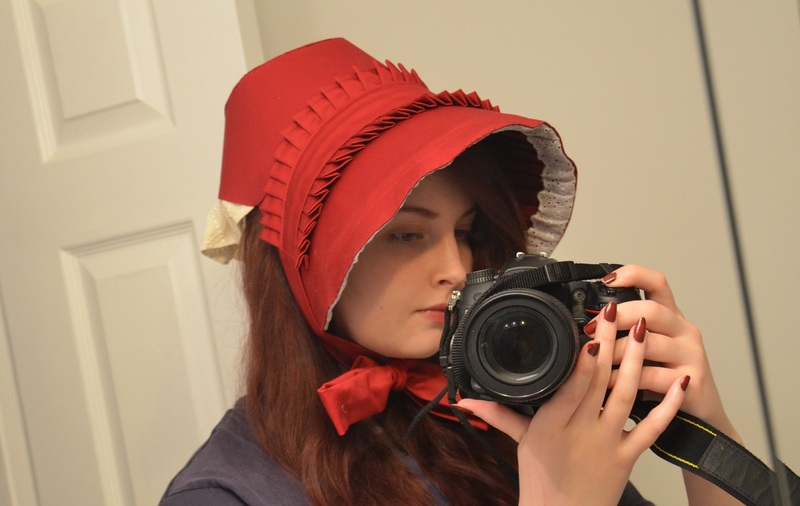 I’m not very familiar with bonnets from the early 1800s so I did a bit of research. It seems cotton caps were more common than bonnets, but I didn’t think those would be very flattering on me or look nice with the dress. After a lot of searching I found reference images that I liked. The first is on the bottom left of this print and the second is shown here. My plan was to combine the brim from the second image with the cap/banding of the first image. 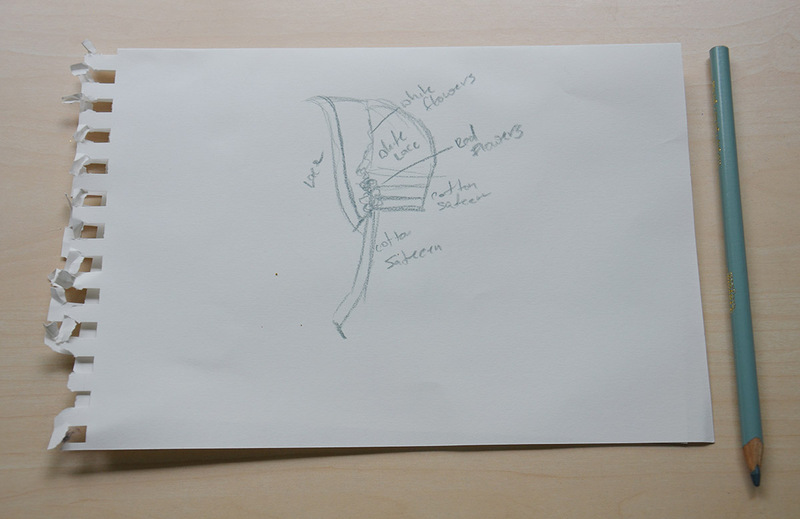 Here is my sketch illustrating that plan…I draw really badly sometimes. 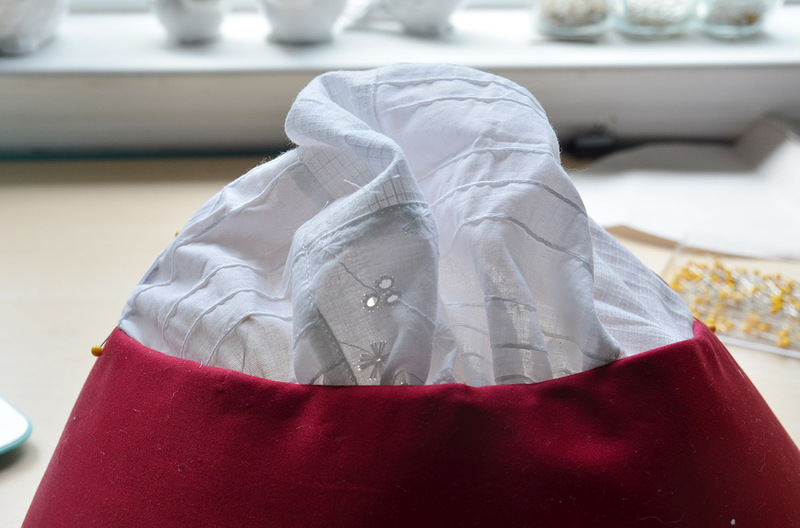 The brim and back of the bonnet are made from interfacing with wire in the edges. 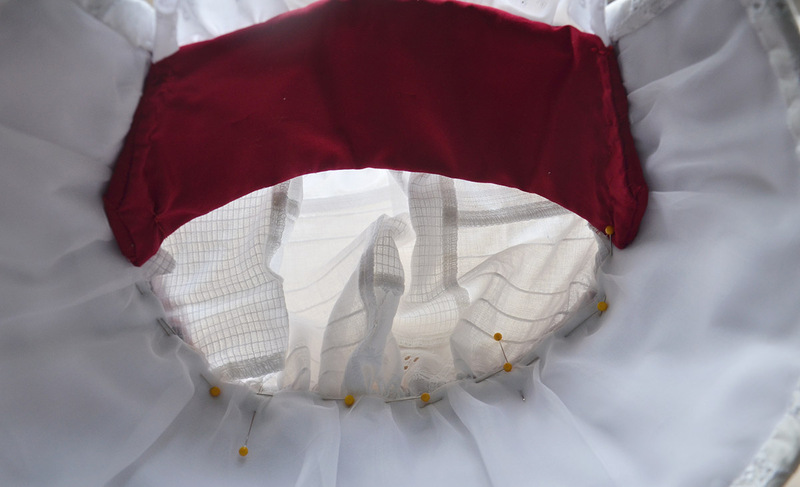 The outside will be covered with red cotton sateen and the interior will be white. 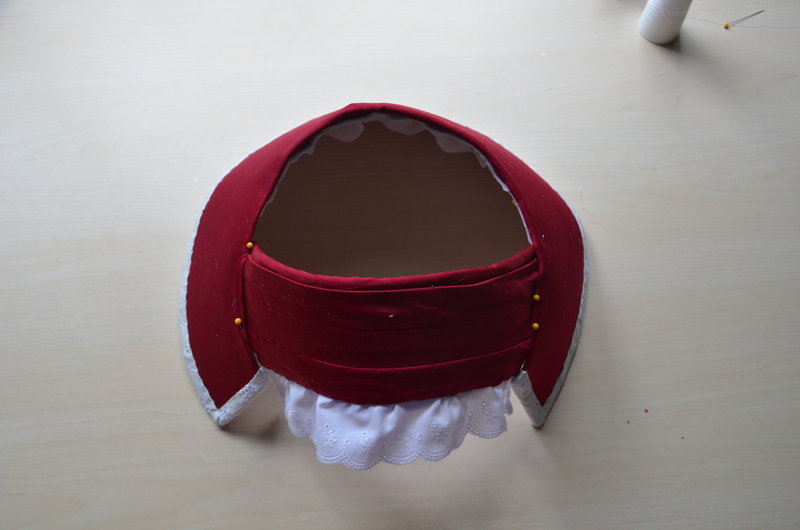 I also chose to make the cap portion flexible and made entirely from fabric, with no base. 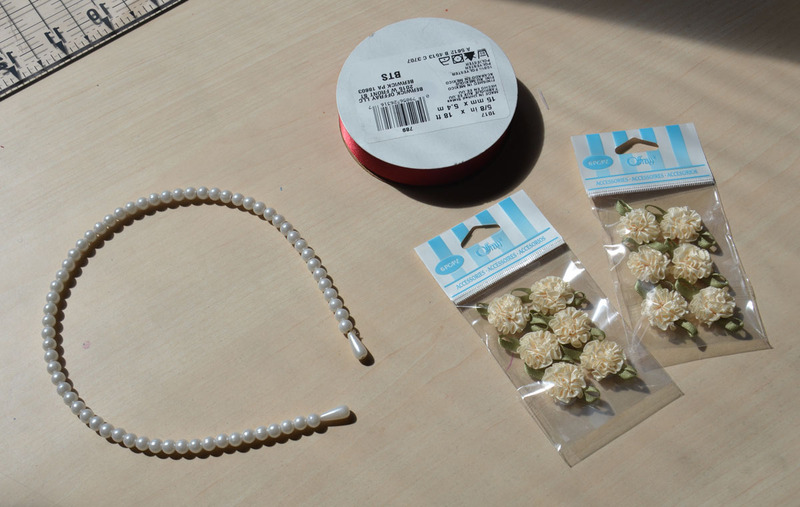 And I have some fake flowers and pearls which I wanted to use as decoration. With a bit of a plan in mind it was time to get to work! When it was removed from the form it looked like this! I made it a little bit larger to account for the fact that my wig head is smaller than my head. And I had a pattern! 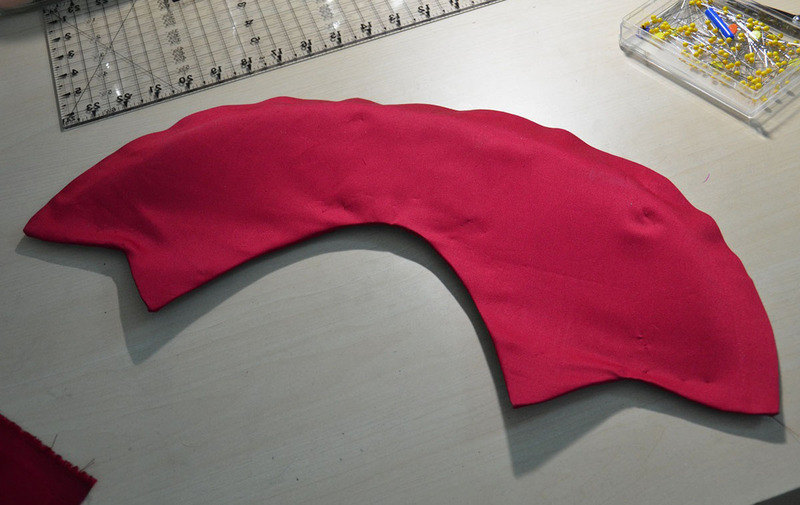 It looked about right when I held it up to my head, so I used the pattern as a guide and cut out the interfacing. 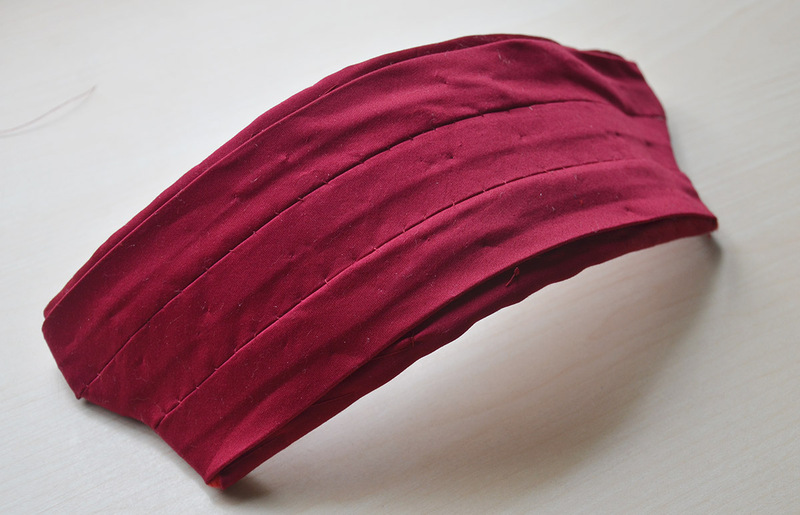 This is heavy duty felt weight interfacing, which i’ve used for headpieces in the past. I should have used buckram, but I still haven’t ordered any. 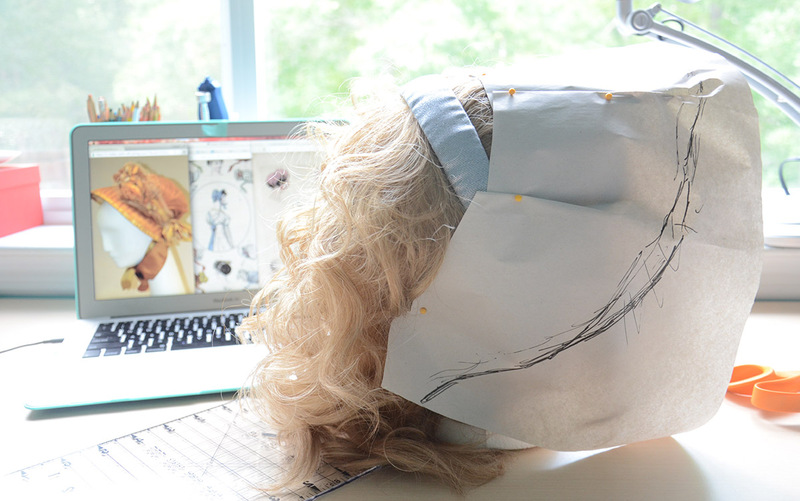 The interfacing sat weirdly on my head, it looked much different and way larger than the newsprint layer. So I cut several inches off each side. I don’t regret doing this, but I wish I hadn’t cut off so much. My bonnet ended up being a little bit too small and sits farther back on my head than I would like. 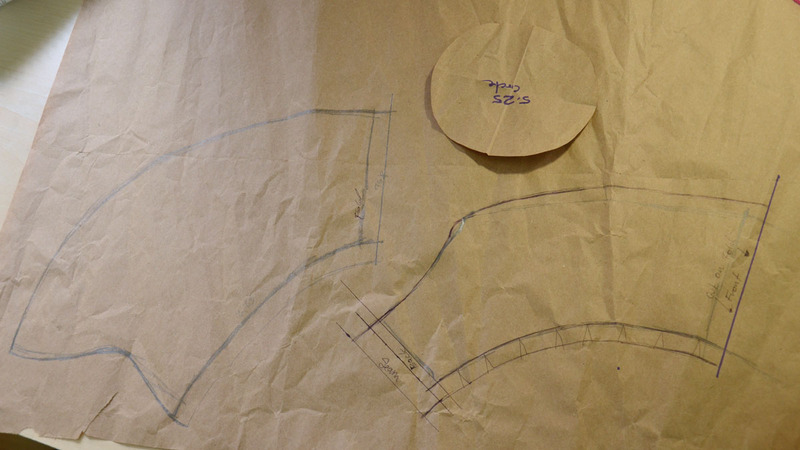 Using my sketch as a guide I drafted a back panel which will cup my neck and attach to the brim. This also got cut out of interfacing. 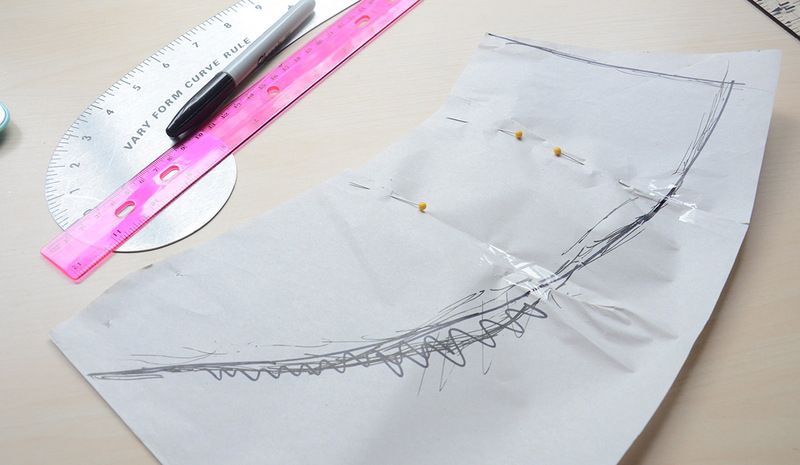 Then I whip stitched wire to each edge. 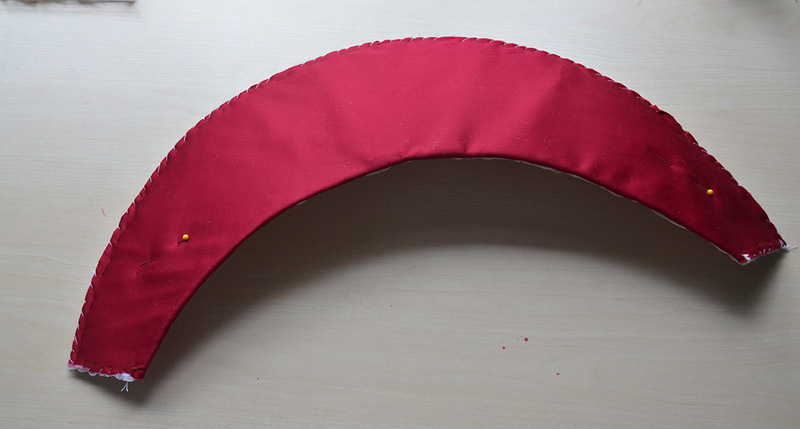 This allows the bonnet to be shaped. To cover up the wire and texture of the interfacing I sewed flannel over the top side of each piece. I did a really awful job of this, but that’s okay, no one will see it. 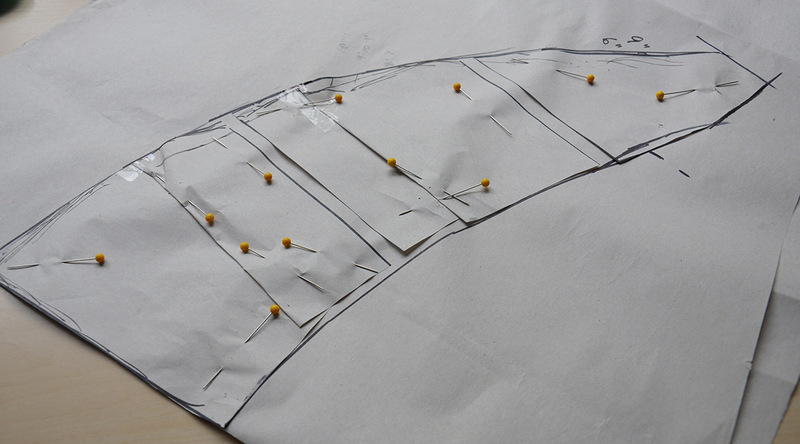 The top layer of the back piece are bands of cotton sateen. I made these bands by sewing three inch wide strips of cotton sateen into tubes, then turning them right side out and ironing them. The bands got sewn on but I left the top and bottom edge open. The lining got tucked into the open edges and sewn down. 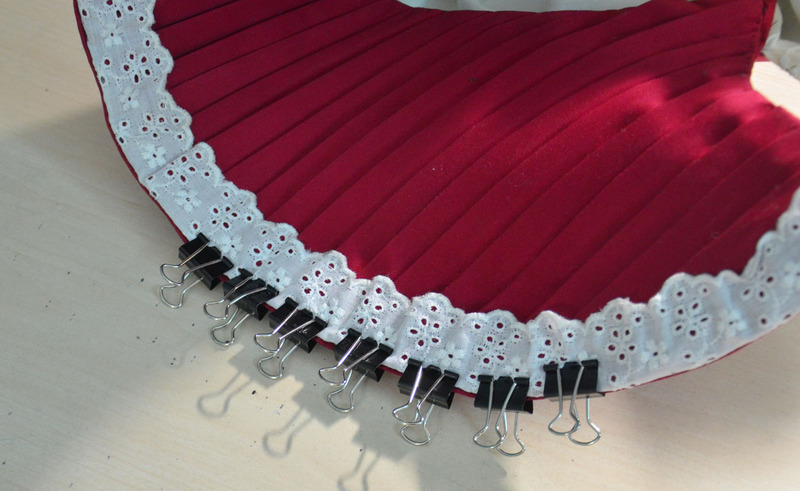 Eyelet lace will eventually be sewn under the bottom band, and the top band will hide the raw edge of the lace used for the cap. So these were left open for the time being. I decided on the wider eyelet lace since it matched the color of the dress better (the other was a little too yellow) it was pinned underneath the bottom band. And all sewn down! It looks a little ripply right now, but when it’s bent more tension is put on the bands and they look smooth. 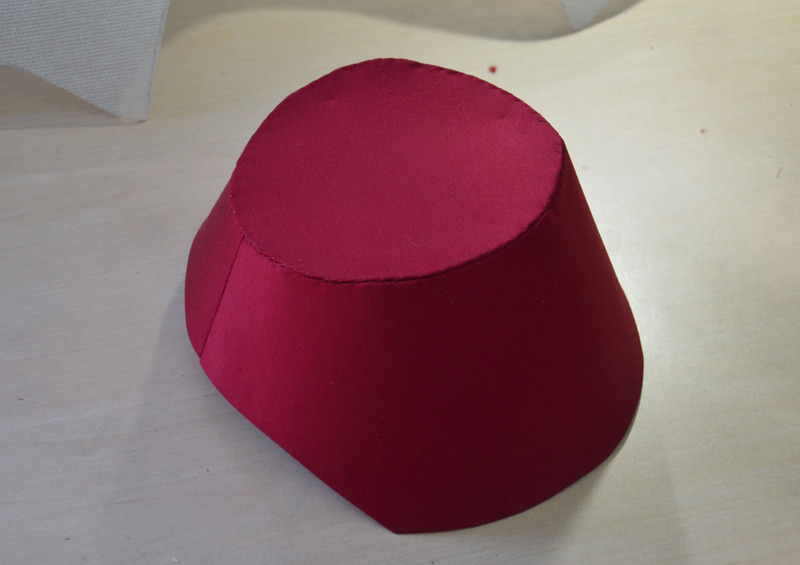 I skipped a few steps here, oops The brim was covered with flannel and cotton sateen. 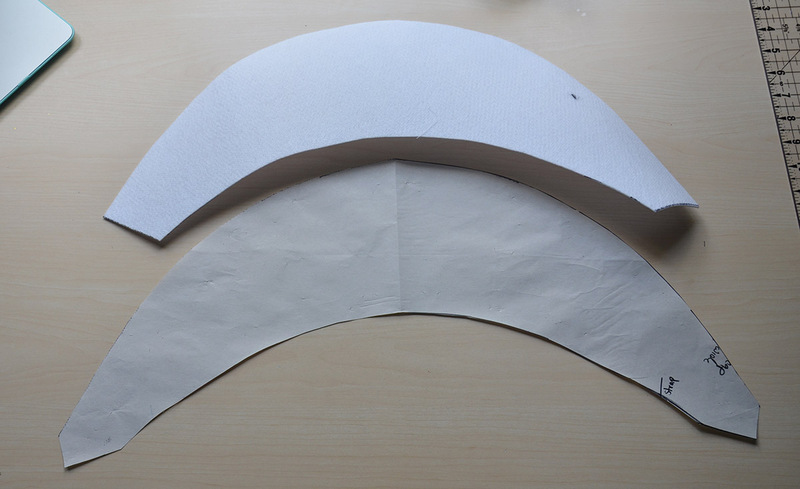 Then I cut out a piece of poplin to the same size as the brim with a half inch seam allowance across the bottom edge. 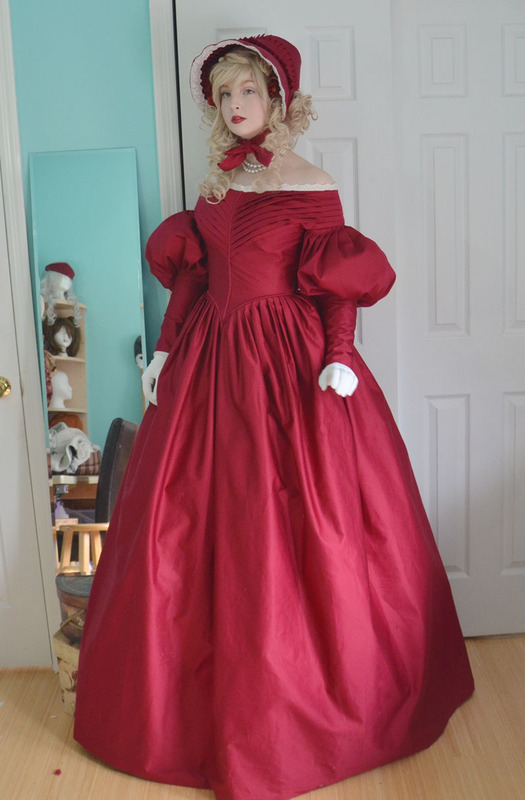 I didn’t like how the poplin looked on its own, so I covered it with a gathered layer of silk organza. Then the bottom edge was tucked underneath and pinned to hide the raw edge. Here you can see it pinned in place. 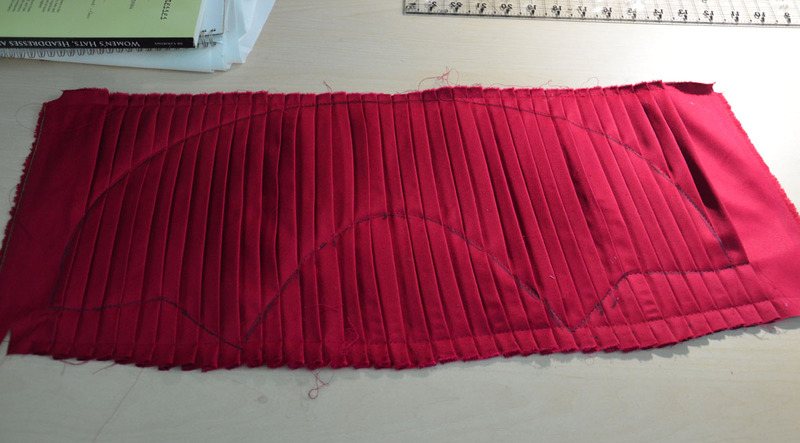 I whip stitched around the top edge and the sides to secure the layers in place, but I left the bottom edge open. 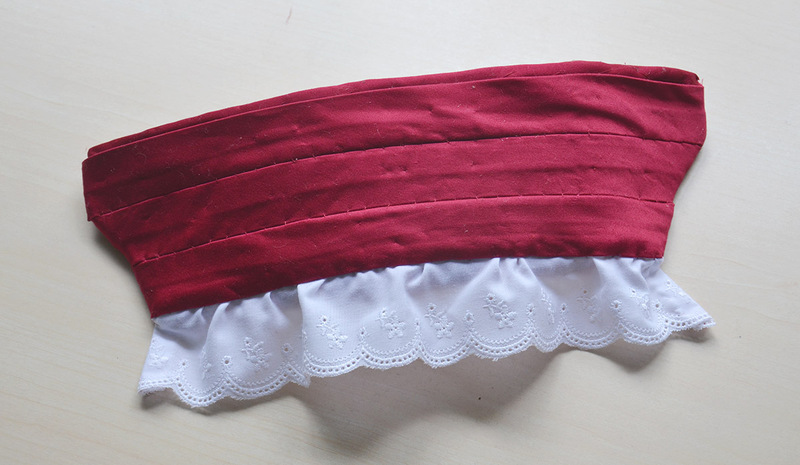 I made a little bit of bias tape (I had maybe an inch leftover when this was done!) out of some lace. I sewed this around the top and side edges to finish them nicely. Now the two pieces were mostly done and could be sewn together. Here they are pinned in place. I sewed them together with thread that was doubled up. 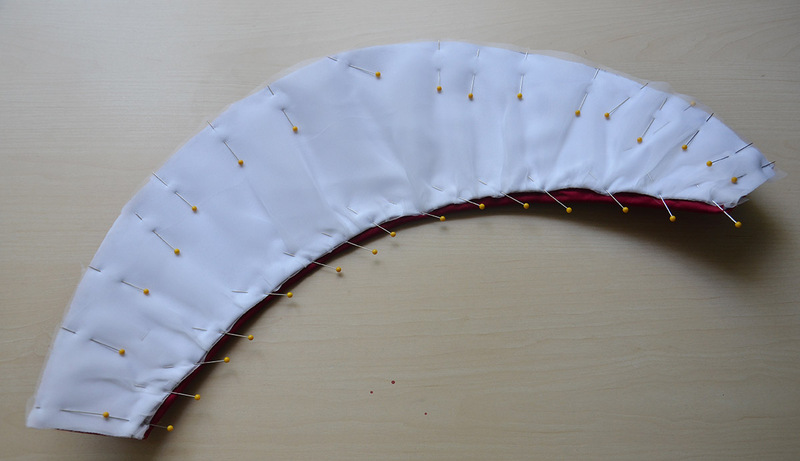 I was sewing through two layers of stiffened felt so I used a big needles and pliers to help guide it. And when that was done I cut out the cap. I took a few measurements and then guessed what the shape and size should be. Not the most professional method but it worked! 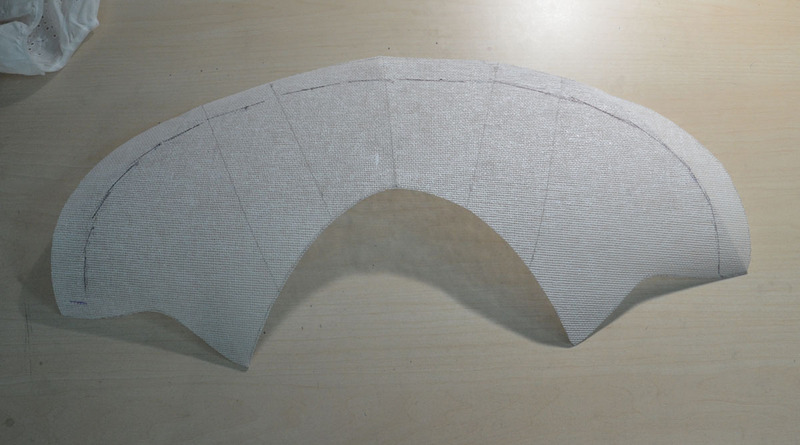 The bottom edge was gathered slightly then tucked between the top band and the layer of lining. I sewed it in place with small whip stitches. 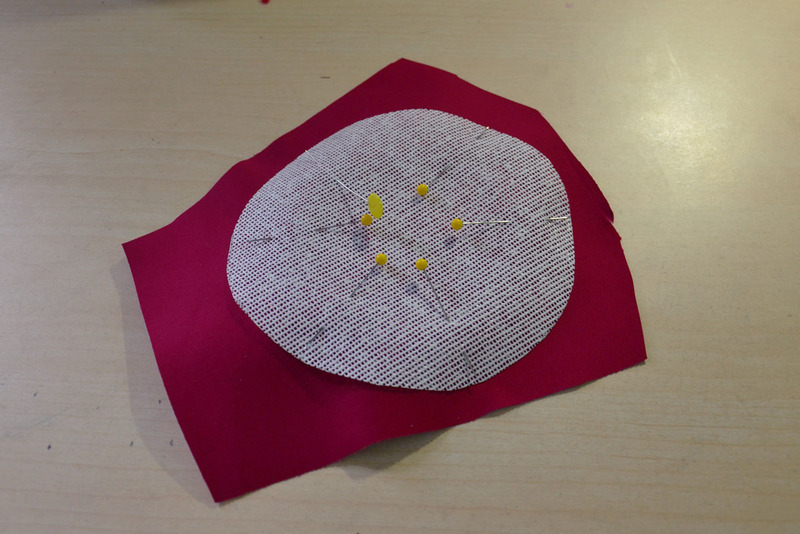 Then the top layers was gathered slightly towards the center and pinned between the brim and the brim lining. Here is a shot of how it looked inside. And after everything had been sewn down! After all that work it was finally starting to look like a bonnet. 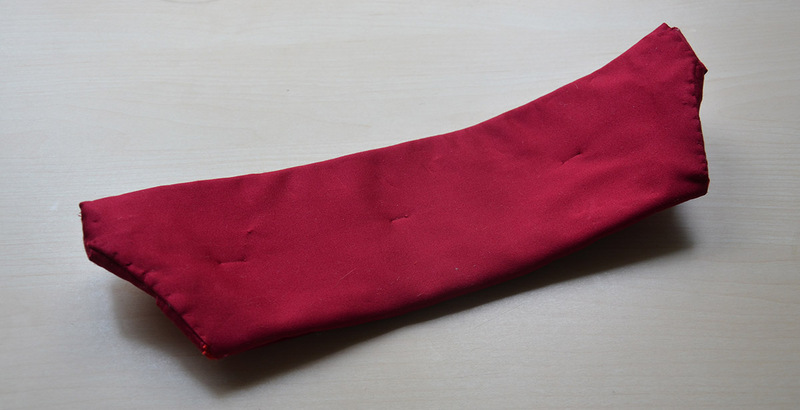 I made up some ties from strips of cotton sateen. These got sewn just inside the interior of the bonnet. And then it was time for decorating! The roses I planned on using for decorating were a bright orangey red which didn’t really match. So I used a watercolor brush and some copic inks to darken the edges to a deeper shade.The one in the middle/slightly towards the left is unpainted so you can see the difference. 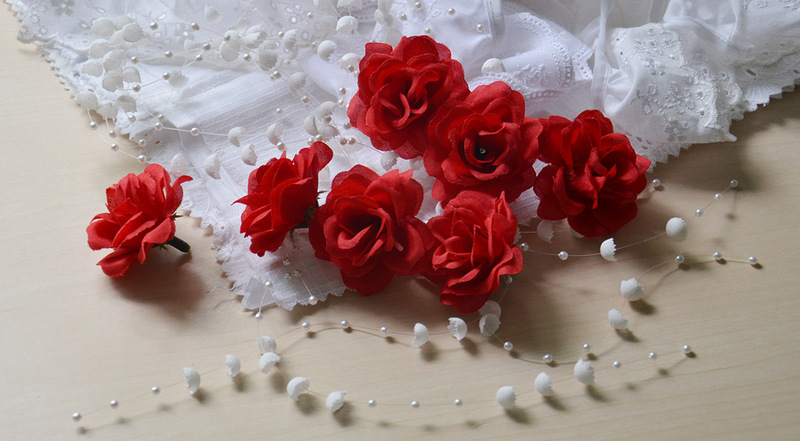 I glued those on along with the pearly strands of white flowers, and it was done! 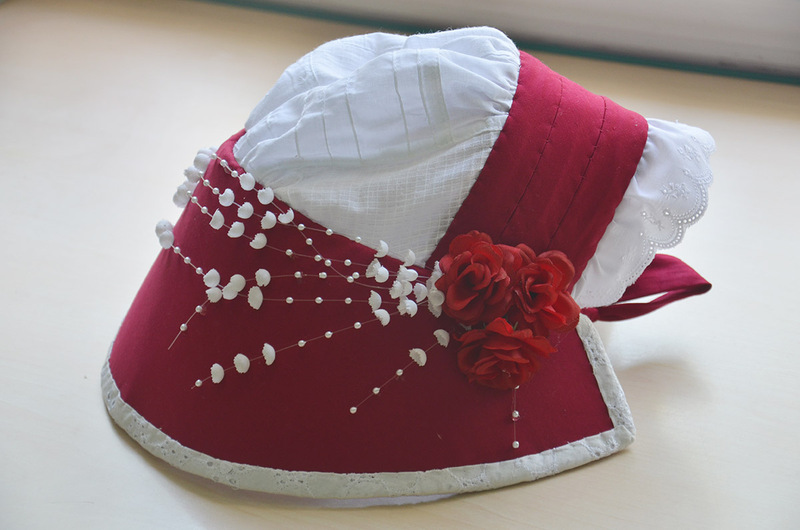 I think this bonnet is very pretty, and i’m happy with the shape and construction. But I made it too small, so I don’t love how it sits on my head. I also need to add another tie, or combs to the back because it is really unflattering on my jaw when it is tied tightly, but it tends to shift and fall when it’s tied loosely. I attempted to take photos of this worn but the lighting went to crap and I didn’t end up with usable images. But I did get a bit of video footage of me wearing it (I was filming it for a costume spotlight) and that can be watched here! Now onto the shoes. 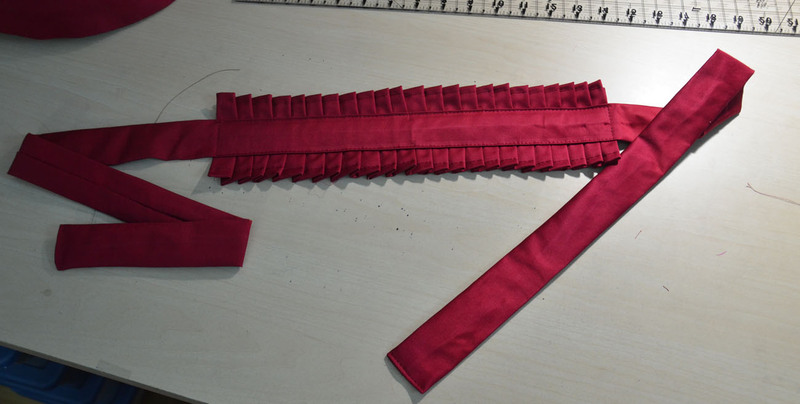 I actually plan on making a pair of Regency slippers from leather and velvet in the near future, since I want them to match a dress i’ll be starting soon. 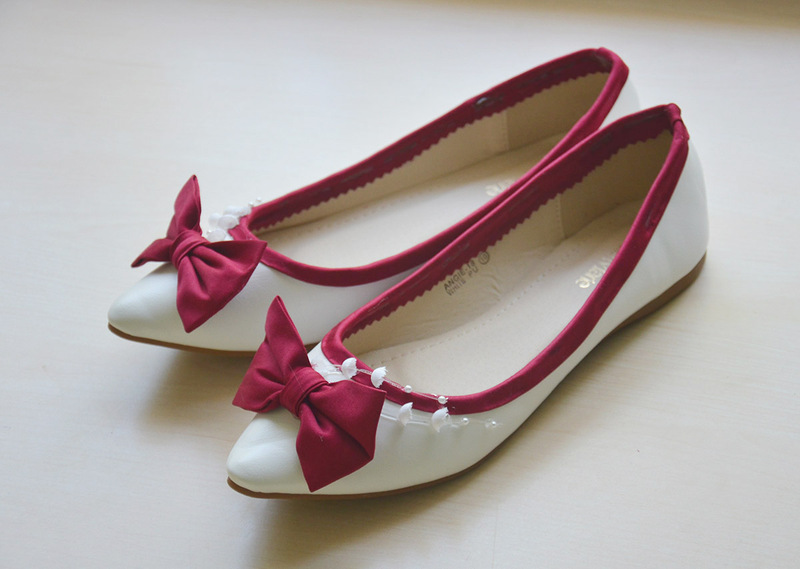 But I didn’t make these shoes, I bought them from amazon, you can see the listing here. They aren’t very comfortable or well made, but for $18 I wasn’t expecting a lot. I bought them because I really liked the pointed toe, and found the silhouette to be quite similar to shoes from the early 1800s. Funnily enough the model of these shoes is “Angie – 18” which is my name and current age, which is kind of a weird coincidence! 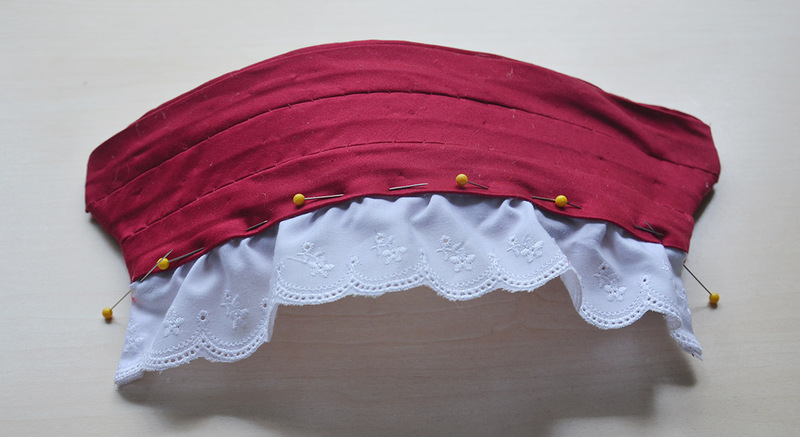 I made some bias tape from cotton sateen. It was folded in half and glued down around the foot opening with the creased edge being visible. I used E6000 to secure it and a few dozen binder clips to keep it in place while the glue dried. The raw edge was trimmed with pinking shears and dipped in fray check to prevent it from unraveling in the future. Then I made cute little bows for the front. 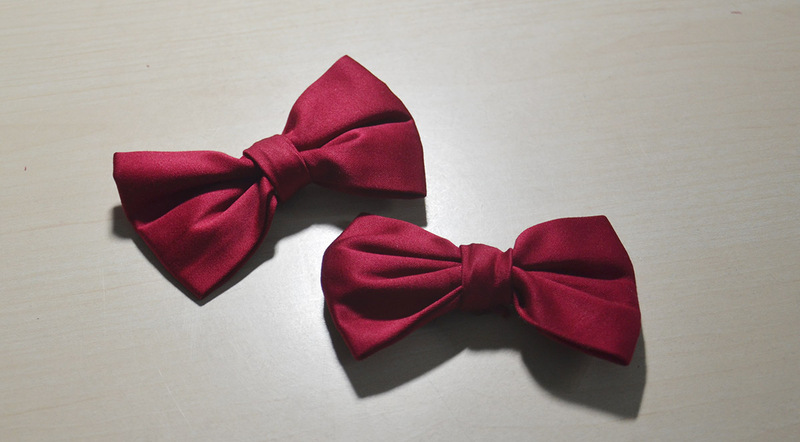 Here they are with the bows attached! I glued on some of the pearl/white fake flowers as well. I’m really happy with how these look. I just wish I had used a little more precision with the glue gun! There is some visible glue which i’m not very proud of. I might try and fix that in the future, but even if I don’t it’s not a big deal. I doubt anyone will be getting that close to my feet, or even see these underneath my dress! And that’s it for the accessories! I’ll talk about the dress that goes with them soon. 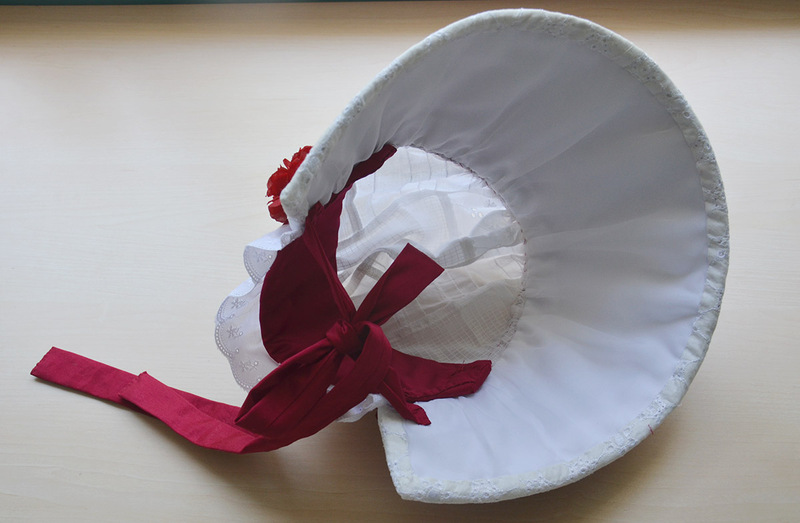 For my last project (the 1837 floral dress) I really wanted to make a bonnet but didn’t have enough material. Which is why for my red dress I made sure to buy two extra yards just to make sure I had plenty left over for a fancy bonnet! 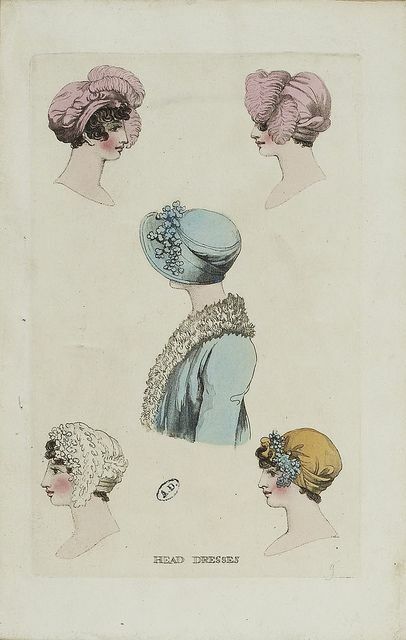 I looked all over the internet for photos of bonnets I liked and came up with over two dozen pictures. But none of them were quite right, they were all filled with flowers, ribbons, and piled with ruffles, more flowers, and ruched panels. 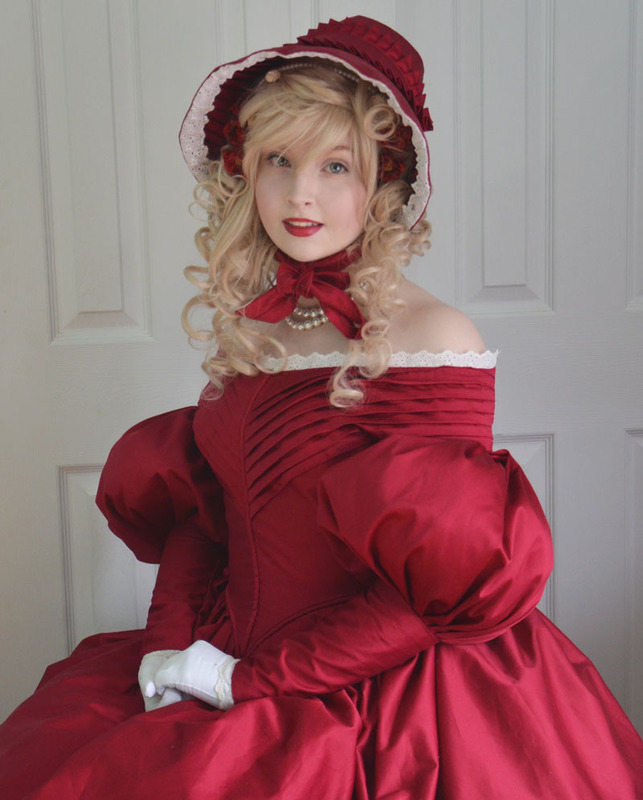 They were way too ornate to go with the simple dress I had created, so I decided to make up my own design! 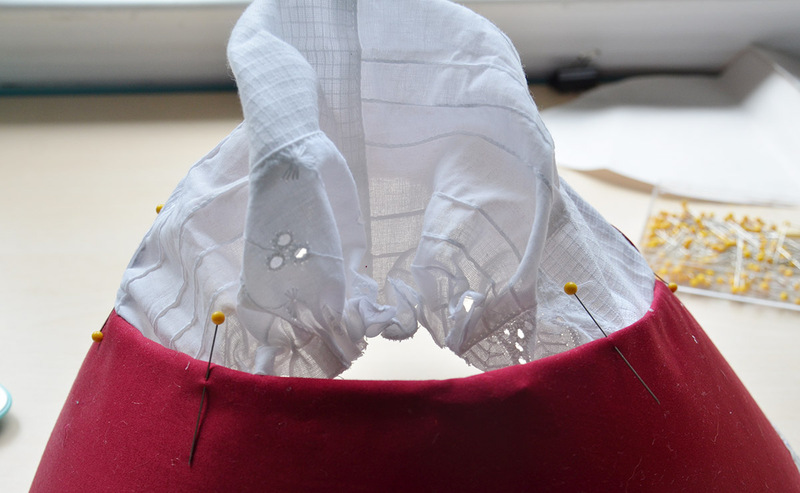 I had no idea whatsoever how to draft a bonnet pattern so I decided to do what I usually do – drape. I set out my wig head and went at it with newsprint and tape. The end result was something like this. 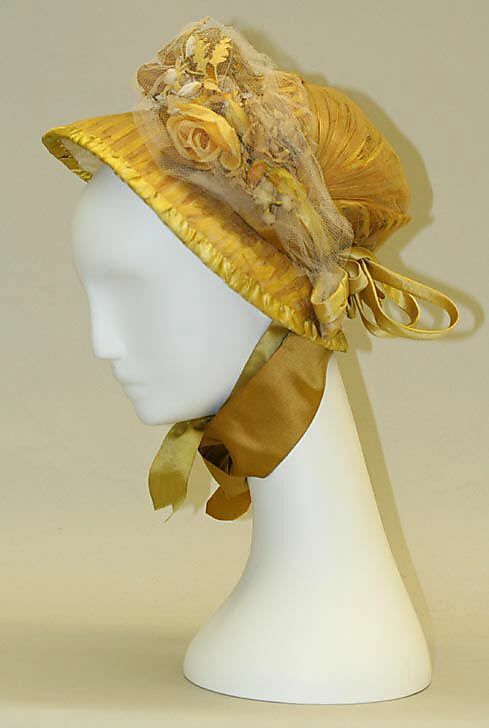 Okay so it doesn’t quite look like a fantastic, elegant, bonnet that a lovely lady from the 1800s would wear. But I was somewhat confident it would all work out. I turned that into a proper pattern, and only had to make a few alterations to ensure everything would fit together properly. The pattern looked really, super strange. I’m glad I didn’t try to flat draft it because the end result would have been awful! 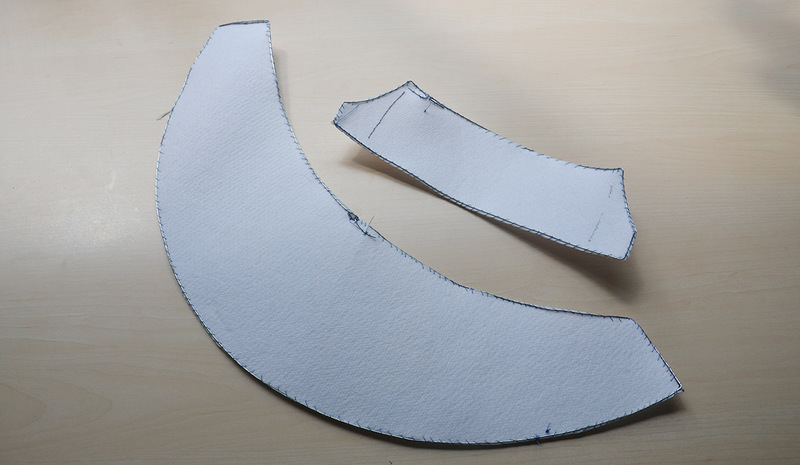 I copied my pattern onto medium weight buckram, then very carefully cut each piece out. 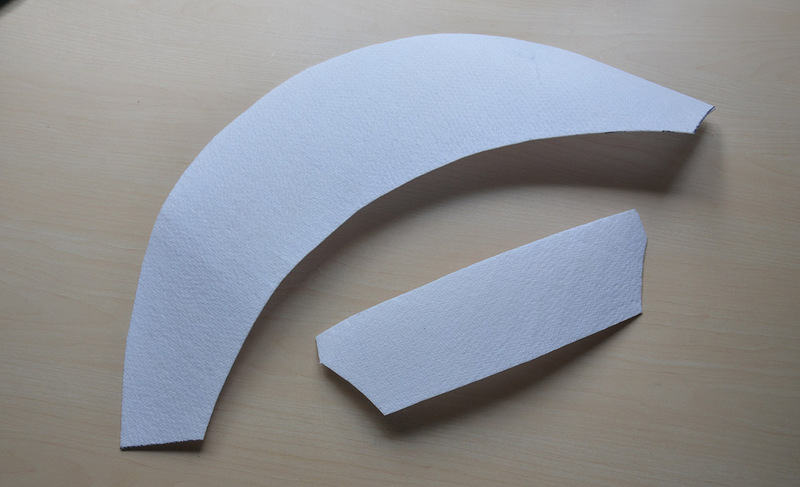 I set my buckram pieces onto cotton sateen and cut roughly around them – since I was adding lining later on I wasn’t very concerned about my edges being even and precise. 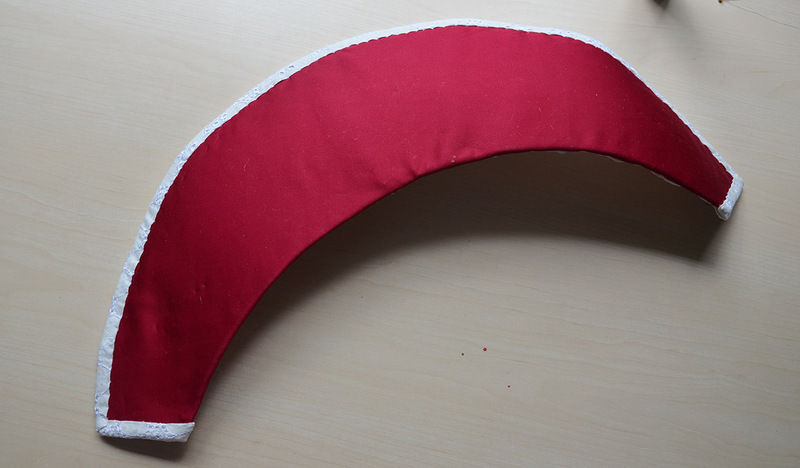 I trimmed all the edges to to be around half an inch, then hand sewed the material to the underside of the buckram. This was a really terrible process and by the end of it my fingers were really sore and kind of bloody. I think buckram won this battle. I assembled the two back pieces – luckily everything lined up really nicely and I was actually super happy with the end result! I sewed a lace ruffle onto the back of this, and used a light cotton sateen to line the interior. Unfortunately I forgot to take photos. Then I moved on to the largest panel, and the most prominent since it’s at the front. 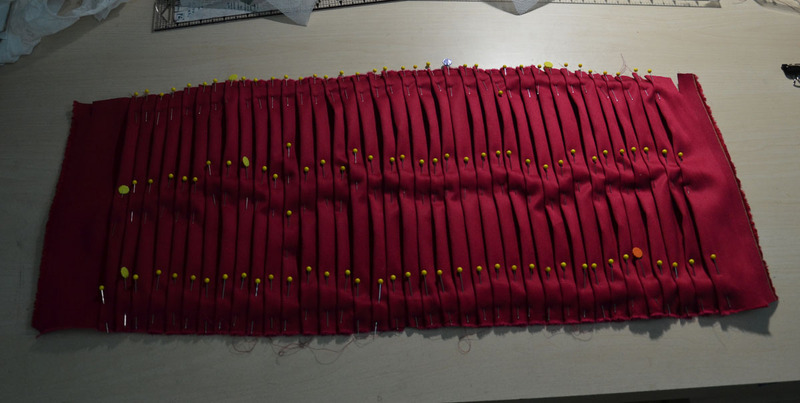 I wanted the lining of this panel to be pleated so it would match the dress, so I got to work and pleated down a long length of fabric to the right size. 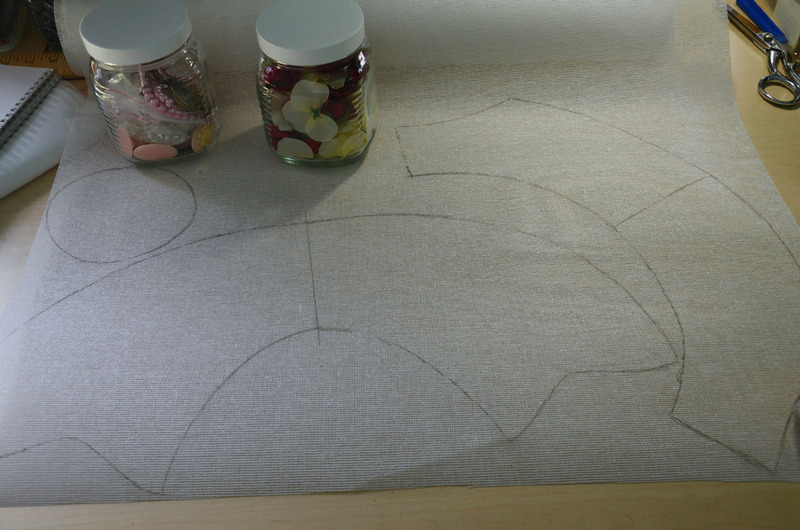 I ironed them all down, then marked out the size of the piece of buckram. 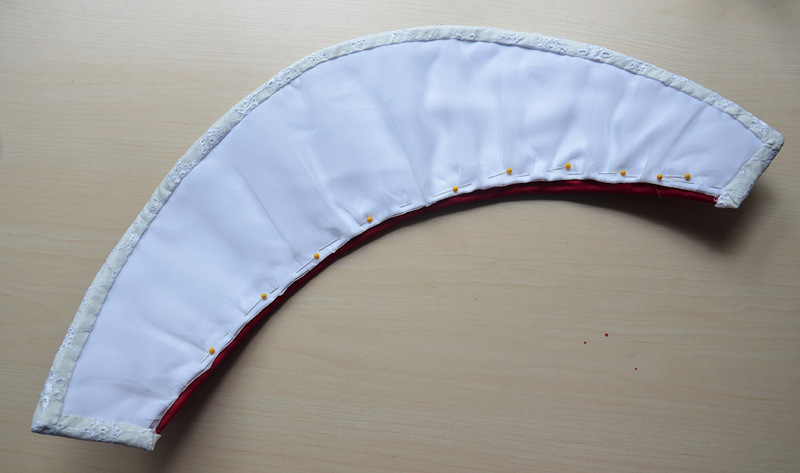 I sewed around the piece of buckram to make sure none of the pleats would move and set this aside. I sewed a strip of hooping wire into the brim so I could control the shape of the bonnet and how closely it framed my face. 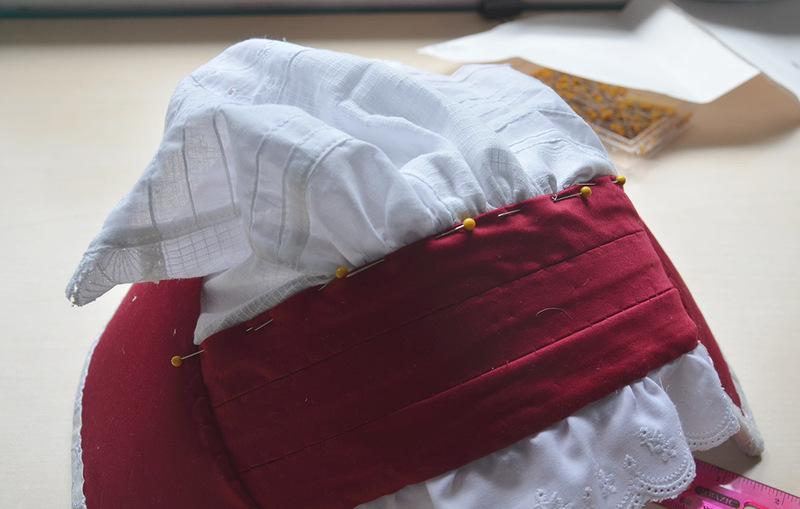 Then I covered the outside of the buckram with cotton sateen. 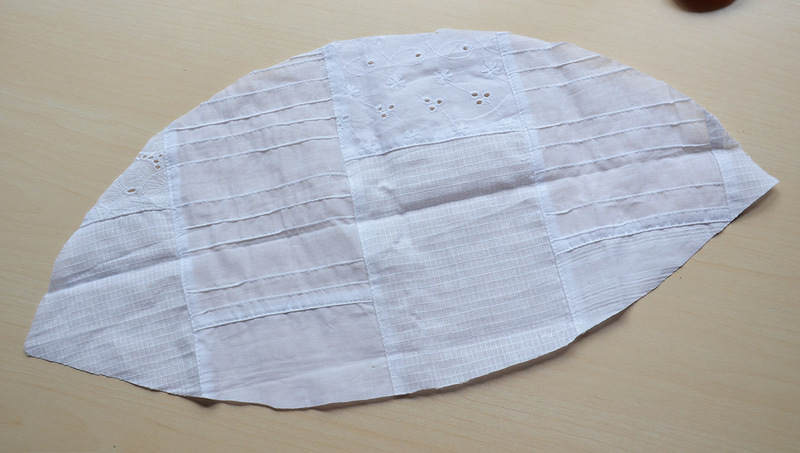 I sewed in the pleated lining and a strip of eyelet lace. It all looked quite lovely but the hooping wire had caused the buckram to take on a wobbly shape which I didn’t like. I steamed the whole thing, then used binder clips with hopes it would sooth it out. It didn’t really work, but I used the words “good enough” and sewed the large brim piece onto the back hat like portion. It looked nice but it was still missing something, so I decided to make a pleated band to cover up the seam between the brim and hat. I hemmed the edges then once again did a whole bunch of knife pleats. 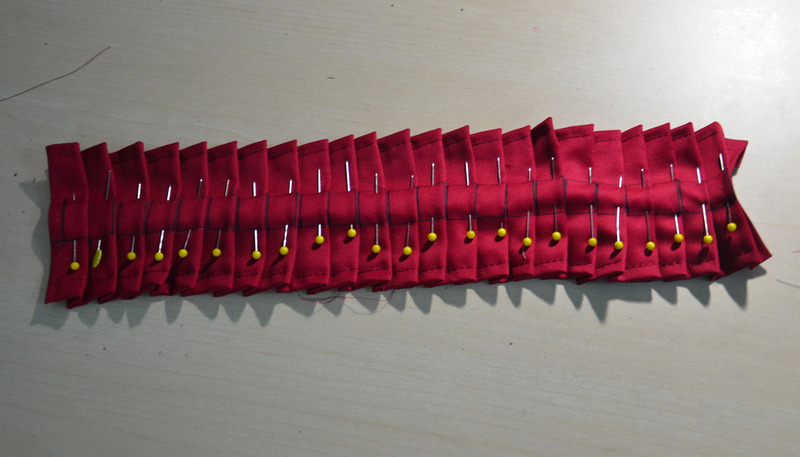 I sewed the pleats down, and then stitched down a one inch wide strip of cotton sateen which would serve as the ties. 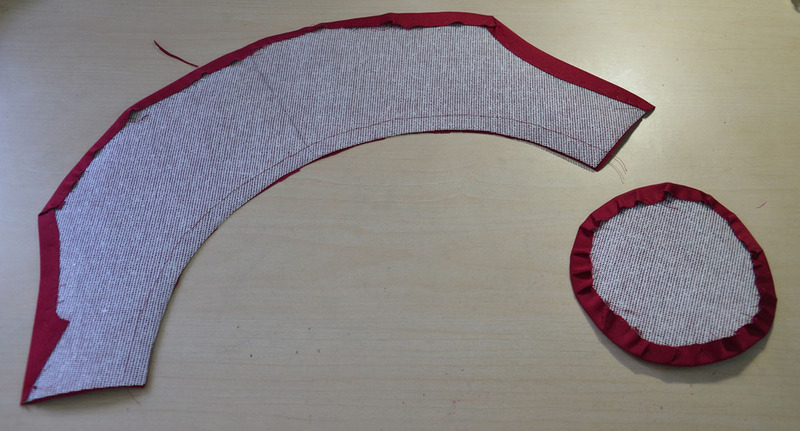 The strip was created by sewing a three inch wide strip in half, then turning it right side out. And tah dah! 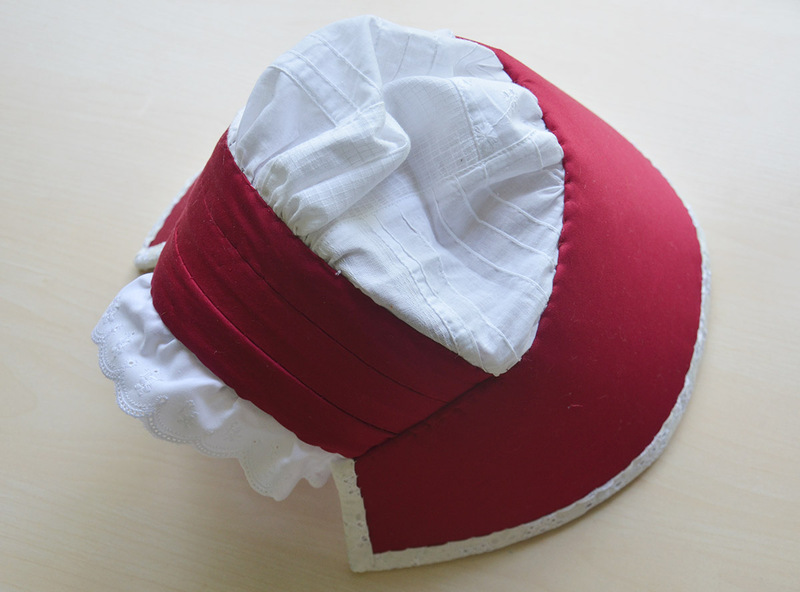 My lovely bonnet was done! 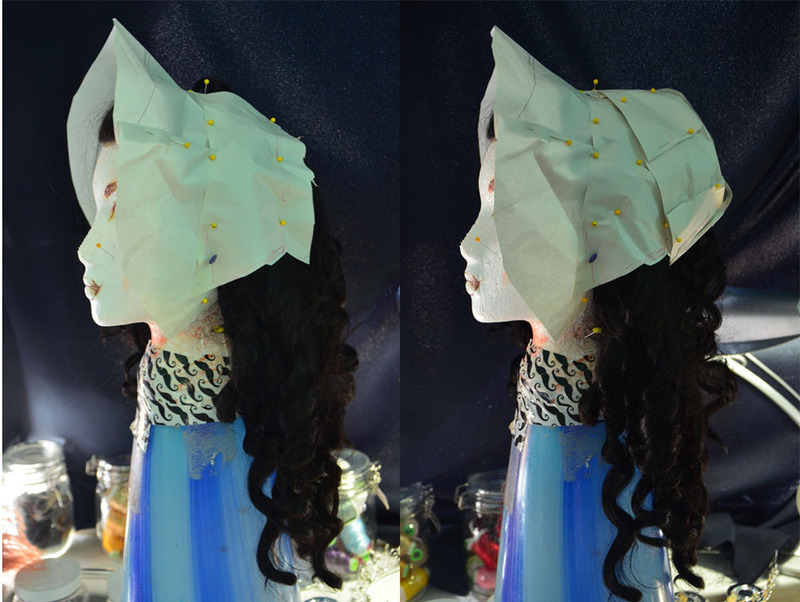 I still felt like the look was missing something – since I had gone for a simple bonnet design I decided to jazz up the hairstyle with some plastic flowers and a pearl headband. I wore these with a crudely styled with from the seller cosplaywig. And that was that! I really adore how this came together. There were points where I didn’t like this dress at all so seeing the ensemble come together just the way I had imagined was wonderful!